Is your Fitness business finding it difficult to engage with your customers and inform them of your latest promotional information and prices? Demand Media, an innovative mobile app developer for Yoga, Pilates, Gyms, Personal Trainers and Spa businesses can help your business solve these issues you may be experiencing by developing your own Mobile App. Mobile apps are integral marketing tool for any small business in Australia and the rest of the world due to the ability for a business to easily engage with their customers in seconds and increase their sales. Many fitness businesses are now investing their money in app development because of these reasons and are also realising the importance on how valuable a mobile app is. It can also save a business many hours a week in admin or marketing work due to ease of communication with their customer via push notifications by informing customers of updated class time tables, prices and updated information. According to a survey by B2B research company Clutch, just under 50 percent of small businesses will have a mobile app by 2017. As of 2017, more than 70% of small businesses see their total traffic coming from mobile where as 2 years ago, it was under 10%. So, if your business is looking at ways to increase sales and engage with customers, having a fitness app is a no brainer. Mobile apps are no longer considered a branding exercise but a marketing tool. Having a fitness app for your business can also create a fantastic user experience whereby clients can easily interact with your business in seconds. 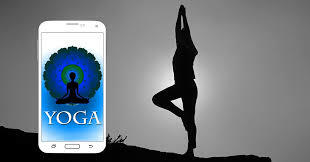 An example can be a yoga business having an not able to attend form where the client can easily fill in the form if they cannot attend a class. Your business will be notified within a matter of seconds. How many times has your class had members who didn’t turn up to their lesson and left a message on your phone but you never checked your phone messages due to your busy schedule? Your fitness app will help solve this pain points and you can now fill up their spot with another student. Neil Aluna owner and founder of Demand Media has seen many fitness businesses experience such as communication. Fitness businesses are constantly updating their class time tables every so often and many of these businesses send emails to their customers informing them and they simply do not open their emails. This is where Demand Media has helped many fitness businesses easily engage with their customers via Push Notifications where users receive a message on their smart phones informing them of important information. Push Notifications have over a 97% open rate so you can almost be assured your message will be read.